This year on Britain's Got Talent, there have been some amazing acts but for us, the show has been completely stolen by the amazing geordie Stand-up comedian, The Lost Voice Guy. 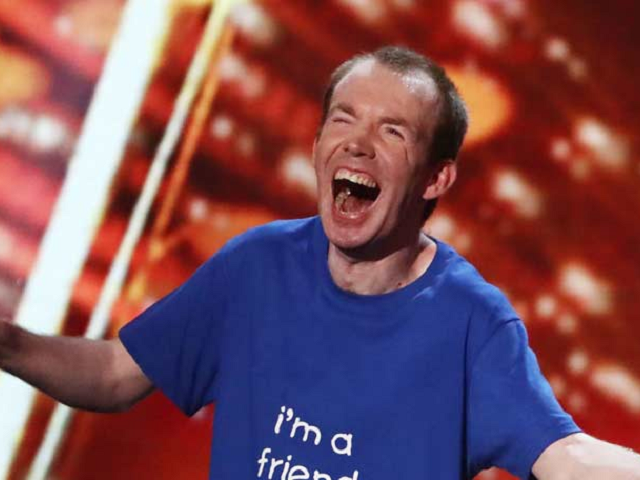 Lee Ridley has been a comedian since 2012 and is a popular act at the Edinburgh Fringe festival but this year he entered into Britain's Got Talent and easily found his way into the final on Sunday 3 June. Smart, funny and not ashamed to push boundaries or discuss disability, we love The Lost Voice Guy and was so pleased when he won the competition. The final was full of variety acts yet it was Lee and fellow comedian and runner-up Robert White that stole the show. Robert White, who has Aspergers continued his successful semi-final performance by again roasting Britain's Got Talent judges. This is the first year a comedian has won Britain's Got Talent, previous winners have included Dance Troup Diversity, magician Richard Jones and dog and dance act Ashleigh and Pudsey. Watch Lee's semi-final performance below.